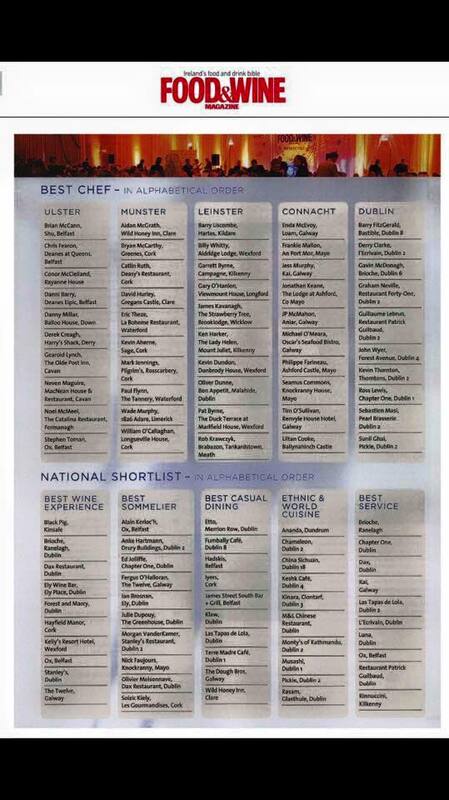 We're absolutely delighted to be listed in Food & Wine Magazine's Top 10 for Best Casual Dining and Best Service All-Ireland. A massive shout out to everyone who voted and to our fantastic team. It's all down to you guys! This is a fantasic list of places to try too if you all fancy a challenge. A bucket list of Irish restaurants to enjoy!